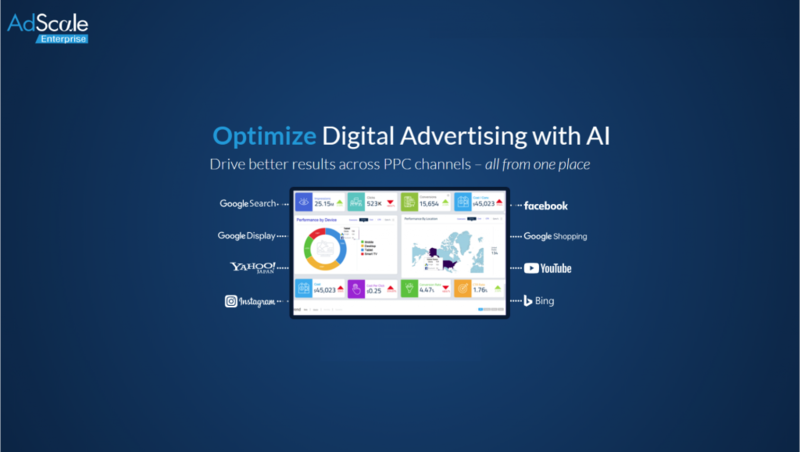 AdScale is an artificial intelligence machine learning platform that automates & optimizes advertising campaigns on Google Search, Google Display Network, Google Shopping, YouTube, FaceBook, Instagram and Bing. You to set your goals with one budget on one control panel and the system manages bids and budgets based on performance. For e-commerce it effortlessly creates your ads and integrates directly to your e-commerce platform to promote each active inventory item. We work 3000+ advertisers and media agencies worldwide to increase profitability, and growing. How can AdScale help you increase profitability? Seeing is believing, check it out now! See how much your AdWords account could be improved, with our (Link) Performance Simulator.